Insurance group Standard Life and fund manager Resolution are to join the FTSE 100 share index following the latest quarterly reshuffle. The news comes after Standard Life floated its shares in July, valuing the firm at about £5bn. The two companies will replace services firm Rentokil Initial and asset management company Schroders. 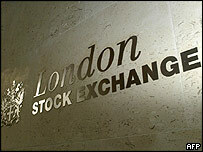 Schroders has been a member of the FTSE 100 since 1994, while Rentokil has been on the index since 1991. After listing in July, residential care home business Southern Cross Healthcare will enter the FTSE 250 index. Military contractor Chemring Group will also join the FTSE 250 after being promoted from the FTSE SmallCap index.